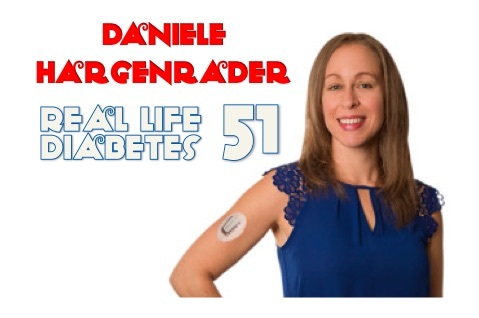 Daniele Hargenrader, founder of Diabetes Dominator Coaching, is a Bestselling Author, Nutritionist, Certified Health Coach & Personal Trainer, and International Keynote Speaker. She guides people to think, eat, and move intuitively in order to achieve a quality of health and life they previously thought unattainable through her repeatedly proven Six Pillars of Total Health system of cultivating the practices and powers of self-love, choice, and community. Purchase Daniele’s latest book, Unleash Your Inner Diabetes Dominator on Amazon. This entry was posted in Mindful, Physical, Podcast, Real Life Diabetes Podcast and tagged depression and diabetes, diabetes dominator, diabetes management, diabetes podcast, diabulymia, Diet & Exercise, diet and type 1 diabetes, type 1 diabetes. Bookmark the permalink.